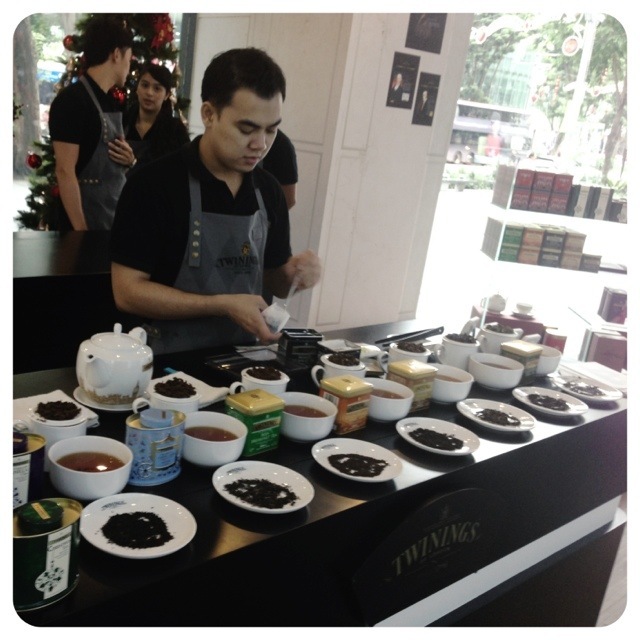 I met Ryddy for brunch this morning and we chanced upon a really cute TWININGS pop-up store outside Mandarin Gallery on Orchard Road on our way to 313@Somerset to get Christmas pressies. They had all sorts of tea, including a Queen Elizabeth Jubilee blend, special limited edition spicy Christmas blends and fruity non-caffeinated ones in a beautiful wooden box! A row of different teas were laid out and brewing when we were there! 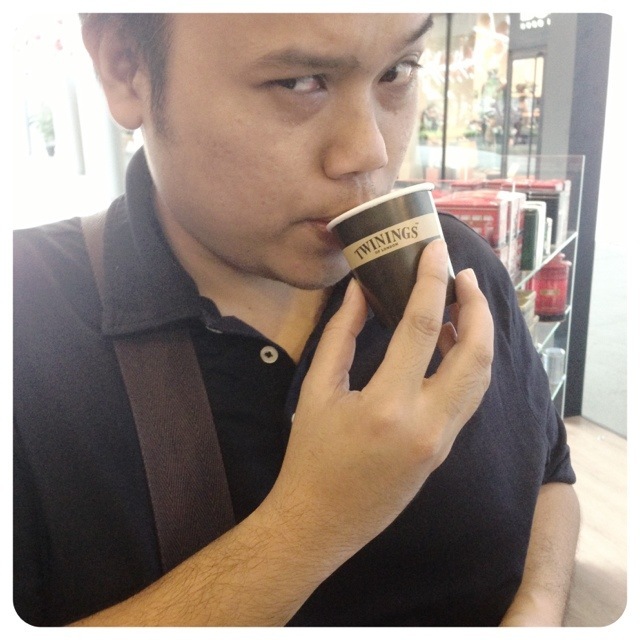 Here’s a picture of Ryddy sipping from a TWININGS paper cup. Such an adorable shop! Couldn’t resist taking a picture in front of the Christmas tree and their fake fireplace while Ryddy was buying tea as Christmas presents. LOL! 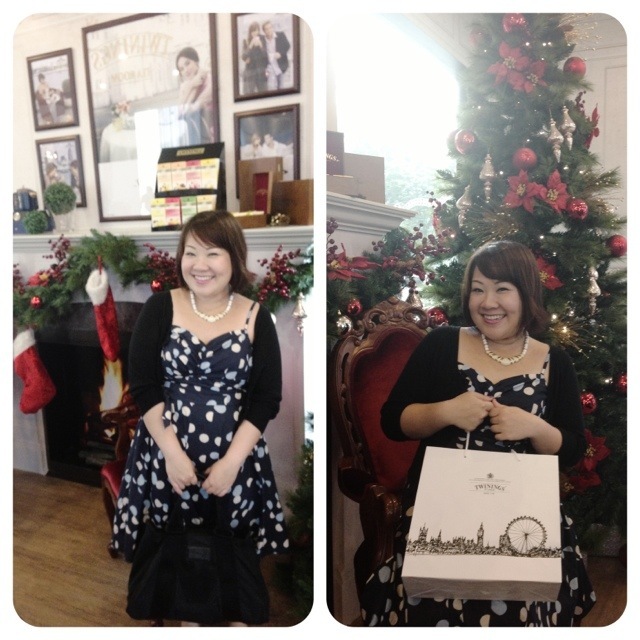 After that, I was told that if you take picture at the “House of Twinings”, post it up on Facebook and tag “Twinings at Orchard”, you stand a chance to win a trip for 2 to Bangkok!!! Hahahaha! Talk about being at the right place at the right time! Now to hope that my picture wins me the trip, yo!!! 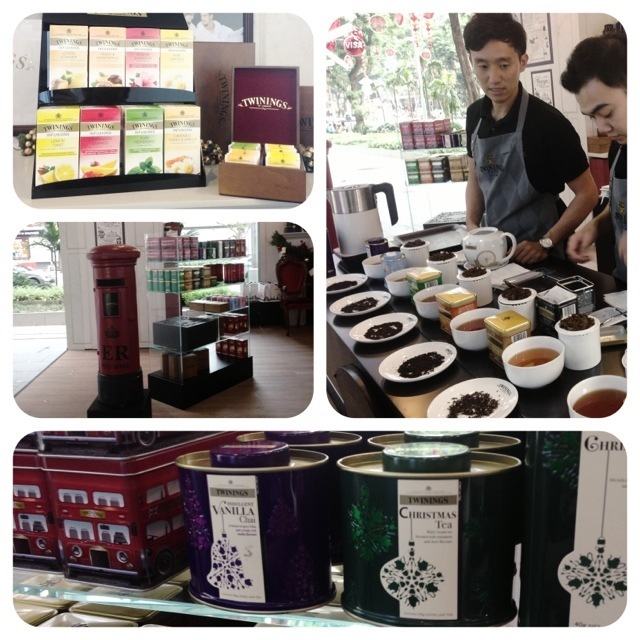 Categories: Rants & Raves | Tags: blogging, iphone, orchard road, pop up store, singapore, tea, TWININGS, TWININGS at orchard | Permalink. It is it is!!! And I sent out your Christmas parcel last week!!! OH my, I love Twinings, and I don’t quite like anything else. Clipper is my next new like! Tasty fruity infusions! Totally agree! !